A handmade, natural herbal soap with a blend of Mandarin, Lavender, Mint & Rosemary essential oils. This soap also contains organic Calendula petals. 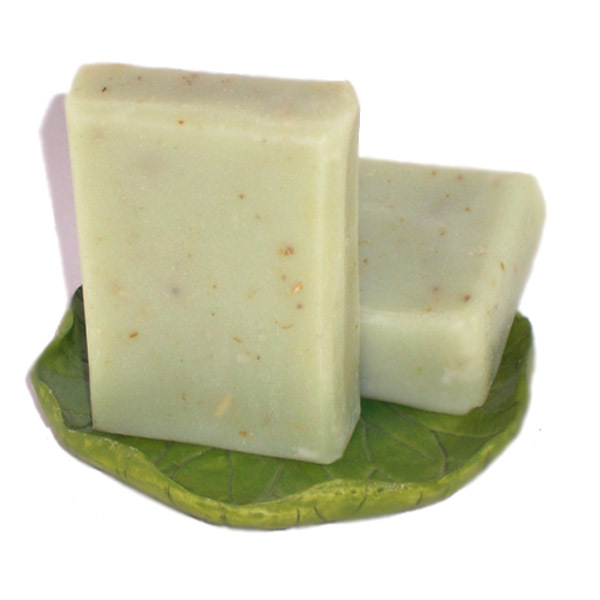 Natural Herbal soap is mild and gentle enough to use on the body or the face. Herbal handmade Artisan Soap is made with Lavender, Mandarin, Rosemary, Spearmint and organic Calendula petals. I use premium, plant based natural food grade oils like olive, palm kernel, coconut and castor, organic botanicals and an Aromatherapy essential oil blend. This soap contains organic Calendula petals. Organic calendula flowers have been carefully dried and then added to complete the cleansing experience. Think of an herb garden gently warmed by the sun. Each of my soap batches are made right here in sunny Palm Springs, California. I use a soapmaking method that has been passed down to me from my Czech mother and grandmother, but with a modern twist. Each batch is aged for about 6 weeks to make sure any water has evaporated and so the soap is gentle and mild. All of my soaps have a balance of hard and soft oils so you get the best of both worlds; a harder bar that last longer and lots of soft creamy lather. My handmade soaps contain the natural goodness of glycerin. It is best to keep any bars in a soap dish that drains and don’t leave them sitting in water puddles. You will love this clean, fresh and invigorating soap. Enjoy your time in the shower or bath with this herbal soap. Each bar of soap comes packaged in a soap box with a full ingredient list. This is Mother Nature at its best, with a little help from me. Ingr: Olive oil, Coconut, Palm Kernel, Mango Butter, Castor oil, Soybean, Sodium Hydroxide, Beeswax, Lavender Mandarin Rosemary and Spearmint Essential Oils, Sodium Lactate, Green Clay, Calendula Petals. No artificial color or fragrance.